Top wines for 3 seasonal gatherings of eating, drinking and merriment. As fall transitions to winter, we enter the holiday season, that time of year when wine lovers are expected to provide guidance (and wine) for upcoming holiday feasts. I look at this as an opportunity to share wines I've tasted and collected throughout the year, and to share gems from the cellar. 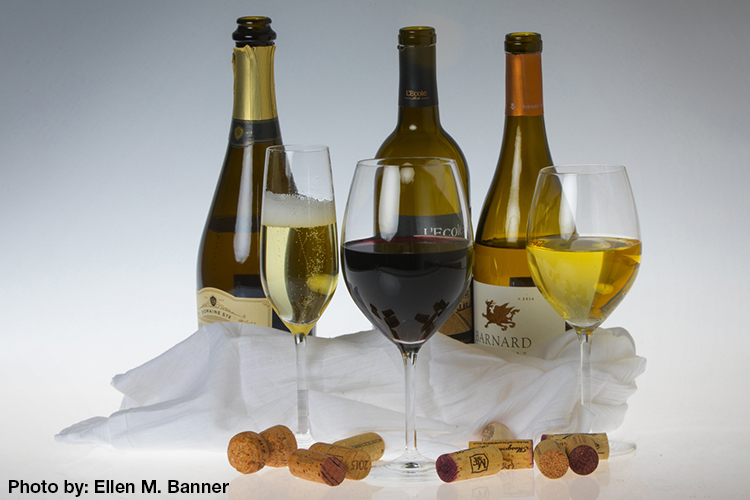 Thanksgiving is among the most challenging feasts to pair wines with. There are so many complex and diverse flavors, it's nearly impossible to match wines with all the dishes on the table. My strategy is to open a number of bottles, favoring wines with high acid profiles and lots of delicious flavors that finish memorably. The typical Christmas feast can go two directions: a roasted bird, like Thanksgiving, or roasted beef. If it's the latter, you can rely heavily on bigger red wines. My strategy for New Year's is simple: Most celebrations focus on appetizers and a happy crowd. So I go for affordable wines that are crowd-pleasers; of course, you need bubbles to toast the new year. Follow the story link for a dozen wine recommendations for each holiday.